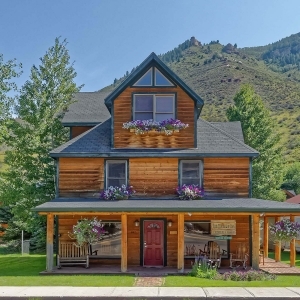 Discover the Minturn Inn, an authentic Rocky Mountain lodge nestled between Vail and Beaver Creek Resorts in Minturn, Colorado. 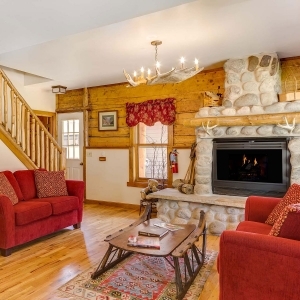 Enjoy your mountain retreat in a completely refurbished 1915 hewn log home on the town's historic Main Street or stay in our elegant River Lodge located just behind the Inn on the banks of the Eagle River. 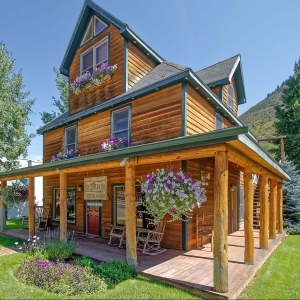 Originally constructed in 1915 as a residence for the McBreens, a railroad family, the Minturn Inn is one of the oldest buildings in town. In 1995 we renovated the home into a charming nine-bedroom bed and breakfast with full modern conveniences. Our distinctive accommodations feature hand-crafted log beds adorned with cozy down comforters and quilts, hewn log walls, antler chandeliers, river rock fireplaces and many other memorable touches. In 2000 we completed the very special River Lodge, a timberframe structure set just across the back alley from the Inn. Its four rooms feature luxurious river rock fireplaces, Jacuzzi tubs for two, cast iron beds with fine Egyptian cotton linens, televisions, phones, private decks and patios that overlook the glistening river. 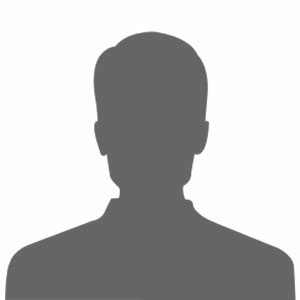 The best aspects of these rooms are the fantastic views of the famous Lionshead rock, the backside of Vail Mountain, and the Eagle River.